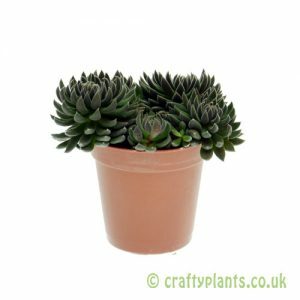 Strap shaped grey-green leaves arranged in a funnel-like arrangement growing around 12-18″ tall. 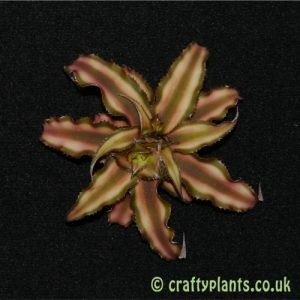 Produces green flowers on pendant racemes from pink flower spike. 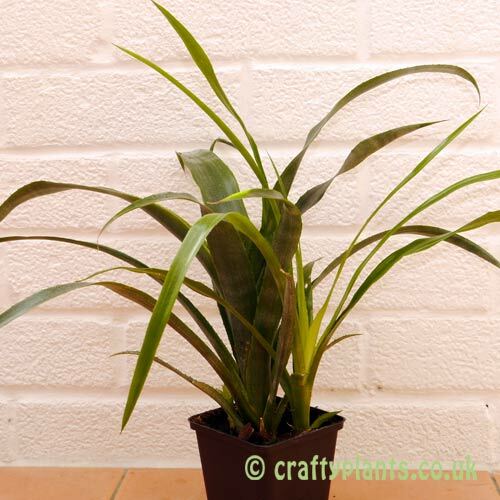 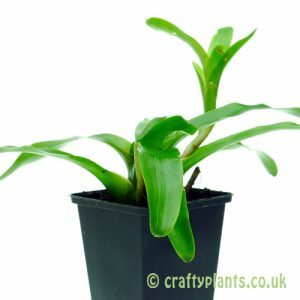 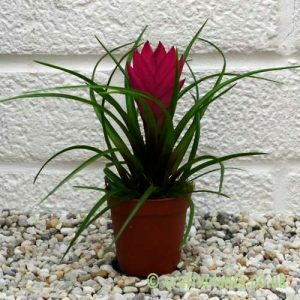 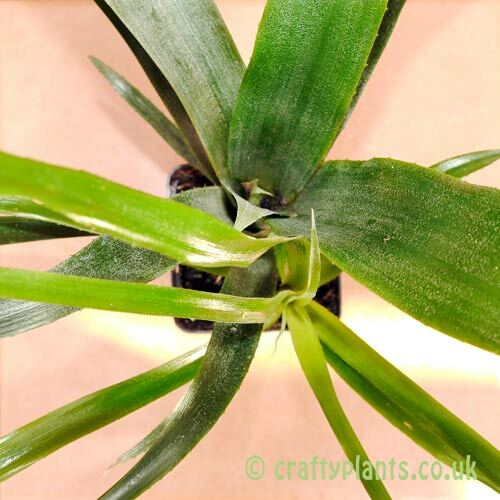 A great bromeliad for conservatory growing or warm windowsill as a pot plant or in a hanging basket.